If you have any serious damages on the roofing system, the best is to replace or repair the roofing system. However, many people think that it is not necessary when selling the house. But, maybe the buyers want a roofing system in a god shape, with no moss on it. There are several things on what you need to know before you sell the house. Clean gutters and windows, fresh paint and other similar small things can really increase the value of your home. So you should really consider to do it. There are couple of factors. Some of the improvements may higher the price of your estate. 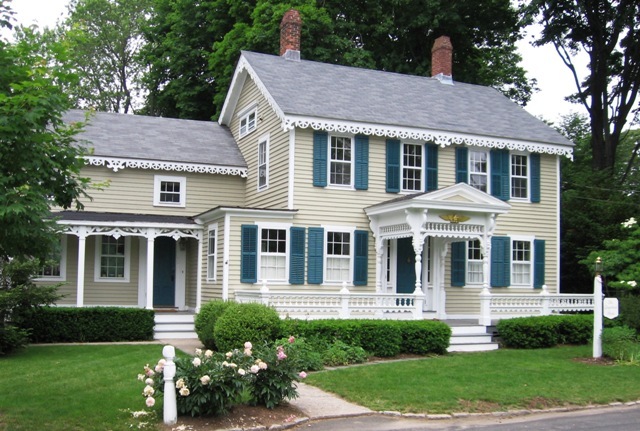 Replacement of the roofing system may be a huge expense, but your home will sell very quickly. The best is to see the market and check the sales activities. Major system in the home are important before you list your house for sale. Consider to make an inspection to see what could be the issues for the potential buyer. If the inspector finds any issue, the best is to talk to him to see what would be the best to do. Contact a professional roofing contractor if you need advice on the repairs or replacing the roofing system. They will know what would be the ideal decision. Hire a professional to evaluate your home for any issues. He will check the foundations, all the house systems and the roof. If there are any roofing systems, you will need to do something about it. Replacement of the roofing system range from 5.000 to 30.000 dollars, all depending on the materials used. Cost can vary, all depending on the professionals, so the best is to get at least 3 estimates. Once you get a quote, you can choose if you want do the repairs or the replacement, or you want to leave it that way and sell it at the lower price. Repairs can be costly but you can expect to get the 72% of the money you invested, and when we talk about the replacement, you can get 63% of the money. Sure, you think that the investment isn’t very wise, but this way you can sell your house easier and faster. Buyers like houses that look new, refreshed, not the ones who have broken or damaged roofs. Also, if the roof is at the end of its life, the best is to replace it before you sell the house. If you cannot afford the repairs, you need to know that it will affect on the price of your property. In today’s competitive markets, you might be lucky and sell your house before someone with a better roofing system. But, keep in mind that roofs problems lead to real damages, and maybe the waiting for the buyer will cost you, because the damages will become even bigger. If that happens, you will need to do repairs, so think very well what you should and what you shouldn’t decide. 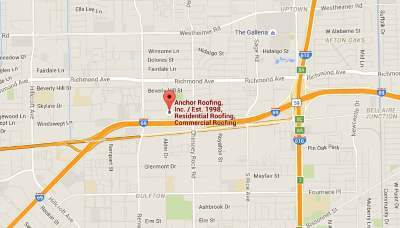 You can always consult with your trusted roof repair Houston TX professional if you have any kind of questions. Contact us for roof repair Houston for reconstruction or leakage of your roof. If you know anything about decra roofing then I’m sure that you have heard of their stone coated steel roofing solutions that have seen on more and more homes across the nation. These decra roofing systems are visually appealing and provide your home with a tiled looking metal roof. The stone coated steel roofing materials are extremely durable had have some great Fire ratings that are shocking to many home owners. This decra roofing solution is extremely durable and generally includes a warranty that ensures protection against high wind weather conditions. If you deal with reputable decra roofing dealers, then you will be able to find this metal tile roofing with a transferable 50 year warranty. You will have to speak with your local decra roofing dealers for more information about warranties but this roofing option is a no brainer for many homeowners across the nation. I know that many individuals who have never heard of this style of roofing are probably amazed with the durability and affordability of this roofing solution. Although many home owners have fell in love with the stone coated steel roofing systems, this concept has been in operation for quite some time. It’s a widely known fact that the owner who came up decra roofing systems got the stone coated steel roofing idea from some properties he saw throughout is younger days in Europe. It’s amazing how decra roofing systems have been influenced from earlier architecture yet have been affordable for families everywhere. Decra roofing products are developed with lightweight, solid steel which is covered with stone granules and then sealed for protection. This is a great roofing system to you if you want to provide your family with the security that they need but also give your home a sense of style in the process. Decra Roofing systems are accessible in many different colors and styles for you and your family to choose from. If this is the first time that you have heard of this roofing system and you are still a bit uneasy about implementing their roofing, do not hesitate to read a few decra roofing reviews to help easy your uneasiness. This is the perfect way to attain unbiased opinions about decra roofing distributors and decra roofing contractors in your area. Feel free to check out some decra roofing pictures as well to help you get an idea of what decra roofing systems has to offer.